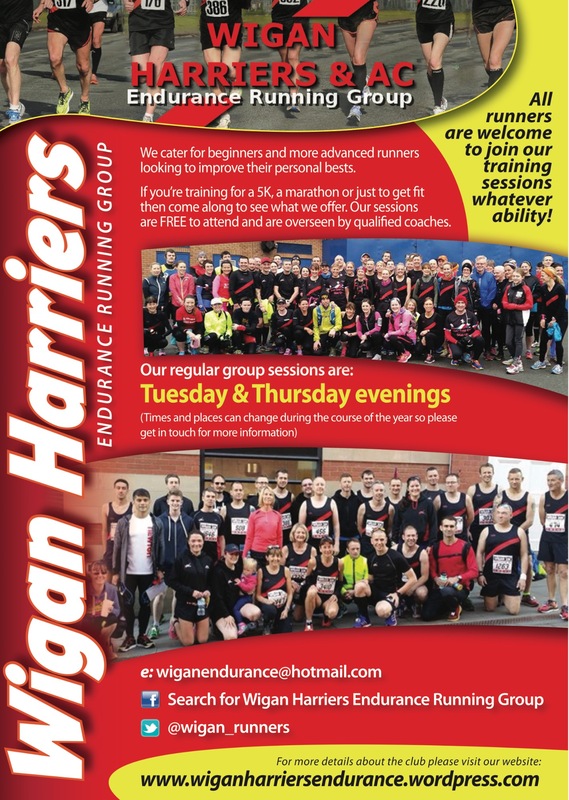 Wigan Harriers Endurance group is the road running wing of Wigan and District Harriers & Athletic Club. We regularly compete in all kinds of running events including road, cross country, fell races, trail races and any distance from 5k to marathons and beyond. We cater for all abilities from beginner to expert, fast, slow and all levels in-between. We have members from 15 years old to 60+. We can help you get fit for your first 5K, provide a bit of company & security on your training runs or try to help you smash your marathon PB. Whatever your experience and ability we will be able to help you improve. Our sessions are taken by qualified coaches and they are free of charge. We do not expect you to join up for club membership until you have had plenty of to time to try us out, settle in and decide that it suits you! . We fully understand that most people thinking of joining a running club are worried that they may not be quick enough and find the idea a bit intimidating. You can be sure that there is always someone to run with no matter your ability, and we like to think we go out of our way to make new members feel welcome! Our main meetings are Tuesday & Thursday evenings, but if those times aren’t convenient then there are smaller groups meeting throughout the rest of the week. Just turn up and introduce yourself and one of our coaches will have a chat and settle you in. Alternatively, e-mail wiganendurance@hotmail.com for more info. Check the Training Times page for more details of where and when we meet. 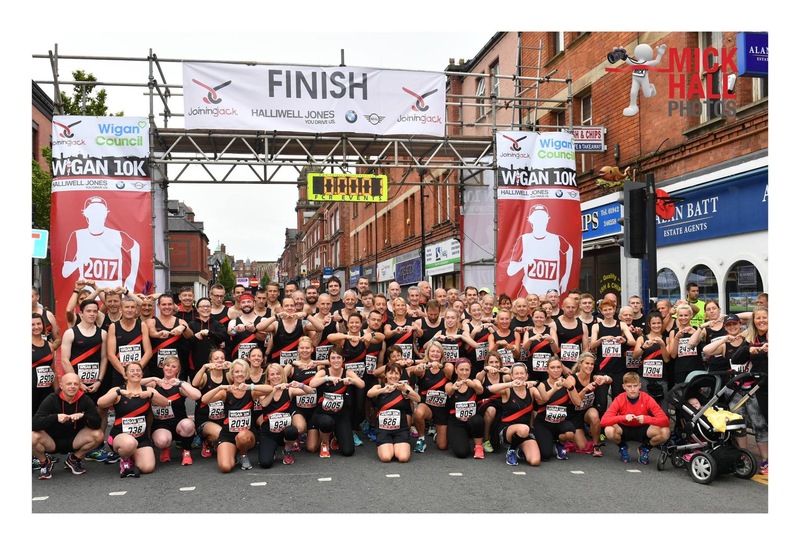 Read Melanie Wanes story of how she accidentally became a Wigan Harrier! Membership fees are £38 per annum (calendar year) including the £15 England Athletics registration charge. Concessionary fees are given to Students (£30) and State-Age Pensioners (£20). Part year memberships become available from July at £25, reducing by £2 per month from then on. Membership entitles runners to a discount at most race events in the UK, along with discounted entry to the Robin Park track, free entry to selected club events and a host of other benefits. Please note that we don’t make any additional charges for our training sessions, which are all supervised by qualified coaches. A great way to keep in touch or see what we are up to is to follow either our Facebook page or Twitter account. Sign up to follow this blog (you’ll be mailed when there is a new article) or drop us an email and be added to the mailing list. Apologies only just seen your comment. If you want any information on joining us please drop an email to wiagnendurance@hotmail.com Thanks.